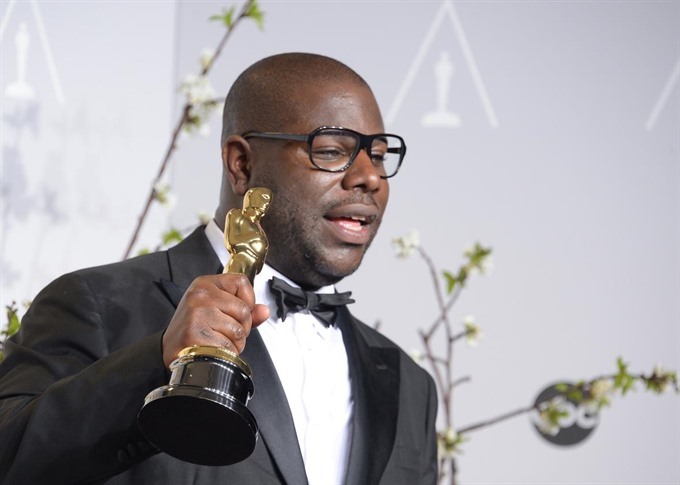 NEW YORK — Steve McQueen, who won an Oscar for directing 12 Years a Slave, will film an authorised documentary on slain rap legend Tupac Shakur. The British director said he was "extremely moved" to explore Tupac’s life, saying he had known him indirectly while studying in New York in 1993. "Few, if any, shined brighter than Tupac Shakur," McQueen said in a statement late Tuesday. "I look forward to working closely with his family to tell the unvarnished story of this talented man." The announcement comes a month before a long-awaited biopic on Tupac, All Eyez On Me, is set to open in cinemas. That film – starring Demetrius Shipp Jr., a little-known actor with a striking resemblance to the rapper – had originally been intended for release last year on the 20th anniversary of Tupac’s still murky killing in Las Vegas. Tupac’s mother Afeni Shakur, who died a year ago, had wanted a documentary that would show him "in a complete way", her sister Gloria Cox said. "It has never been our intention to rewrite the story of Tupac. Our goal has always been to tell the true story, which has never been done before in such a complete way." Tupac, who died at age 25 after a career that went from backup dancer to self-styled gangsta, remains one of the most influential figures in hip-hop. Known for his emotionally intense lyrics and on-stage flair, Tupac last month became the first solo rapper to be inducted into the Rock and Roll Hall of Fame. McQueen became the first black filmmaker to win the Oscar for best director for 12 Years a Slave, an account of a free African American’s capture and enslavement in the antebellum US South.